Today's Tech Talk: How to create WindowsXP Live CD. How to create WindowsXP Live CD. 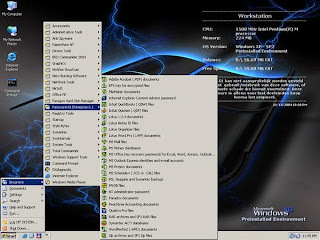 Microsoft Windows XP live CD is the best way to boot into the Operating System without installation into the computer. By using this XP Live CD you can use XP and its features without actually installing them. This sounds cool, right? Creating a Live CD is not a big problem. It just involves adding of some plugins. One of the easiest ways to do this is using a software called pebuilder. Using it, you can create an XP Live CD in just about 15 minutes! Step 1: Download PeBuilder from here and install it. Make sure you have enough free space on the drive where you install the program. After you have finished adding all programs it will create an ISO to be burned into a disk. The size of the ISO will depend upon how many programs you add to your live CD. I would recommend atleast 700MB of free space. Step 2: You may want to set a wallpaper that will appear on the desktop when you boot the CD. For this open the folder where you have installed PEbuilder and replace the file bartpe.bmp with the wallpaper of your choice. Step 3: Download XPE plugin from here (direct download link). It's the GUI shell of the XP Live CD that will create the XP start button and taskbar. You are free to download as many plugin (applications) you want. Currently there are more than 500 applications to choose from. Both freewares and commercial applications are available. Antivirus programs like Kaspersky, NOD32, Avast; burning program Nero; media players like VLC; OpenOffice, Foxit PDF reader, Acrobat Reader etc are available. Step 4: After you have finished downloading all your favourite programs, open PEbuider and specify the source path to the Windows XP installation bootable CD. You can copy the CD to your hard disk and point the source to the copied file.This should be your Windows XP installation bootable CD, where the i386 folder resides. Step 5: Click Plugins and add all the plugins you have downloaded. Since we have added XPE, disable nu2shell and the startup group from the list of plugins. Step 6: Specify the ISO image file and click Build. 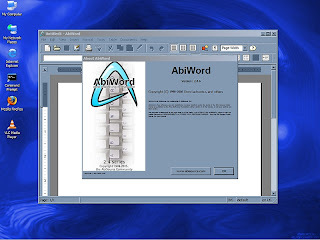 The program will integrate the plugins and create an ISO image. Step7: Burn the image into a disk using any burning software and your live CD is ready.